Join us as we celebrate Shabbat with a delicious dinner, in a warm Shabbat atmosphere. From the Kiddush and Matzah balls, to the meaningful discussion & inspiring song, this is a Shabbat experience you won’t want to miss. On Friday Evenings, Mincha & Mariv Services begin at Candle Lighting. Followed by the Shabbat Meal.  At Chabad of Sheepshead Bay we Welcome Everyone! Please help us help you, by paying for your Shabbat Meal('s). Please send the Cash/Check to 1315 Avenue Y Brooklyn, NY 11235.